Let us take a look at the advantages and disadvantages of the 3DC & 3SC concept. The volume enhancement of CZ is accompanied with facial lifting effect by LZ and RZ, much like the central column holding up the tent. This allows both volume enhancing and mild lifting effects. The second advantage is that correction of overall facial outline is possible even with a small amount of dermal filler (as a dermal filler procedure is priced based on the cc of the filler used, this may lower the profitability of the treatment). Using a large amount of the filler (or, autologous fat, collagen, and other injectables) may increase the profitability for the doctor, however, it raises the risk of vascular complications and necrosis (including the most serious complication of vision loss). Even if you were successful with 1,000 cases, if one case of necrosis occurs, it may seriously damage your career, your rapport with patients, your credibility and brand. Therefore, a better approach may be trying to bring maximal benefits with the smallest amount. This is also more appealing to patients, as they can enjoy desired outcomes from a more affordable treatment. Image 3. 3SC design standard. Image 4. 3SC design standard. One disadvantage is that dermal filler injection is contraindicated for the central forehead and glabella area. 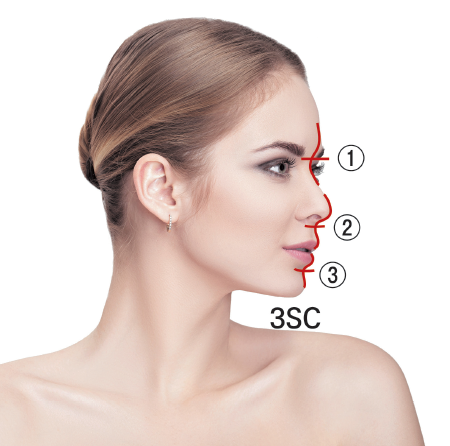 This makes it very difficult to dramatically enhance the first S-line of the 3SC (where lowered nasion and volume enhanced forehead is the key). As I have already mentioned, I prefer combining various modalities rather than sticking to one. Combining vector reducing and increasing approaches simultaneously makes it easier to bring the desired facial outline. Among many treatments I perform, the vector reducing treatment is most commonly done in LZ and RZ. 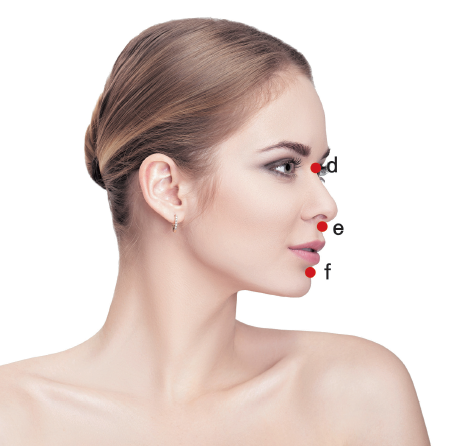 This approach is the particularly beneficial in patients with a wide face and clear outlines of the eye, nose and mouth (clearly developed CA and 3S-line point but relatively large LZ and RZ which creates a rather dull countenance). 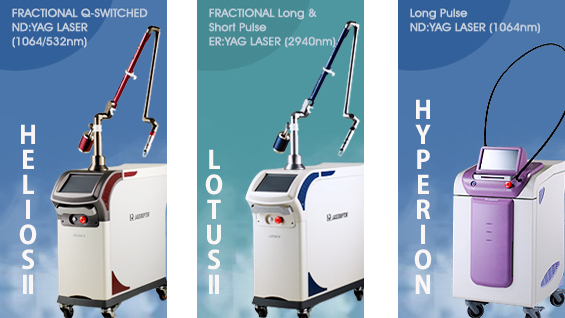 Vector reducing treatments include contouring injection, sculpture injection for reducing fat and fibrous tissues, HIFU for tightening loose tissues, long type cogged thread for collagen remodeling and anchoring sagging skin to SMAS, short type cogged thread for indirect skin tightening through collagen remodeling, and masster muscle reduction with botulinum toxin, etc. On the other hand, vector increasing treatments are effective in patients with a small face and small features (volume enhancement in CZ is the main focus). Vector increasing or volume enhancing procedures include hyaluronic acid (HA) filler, poly-L-latic acid, other permanent filers, PDRN, PN (poly nucleotide), and autologous fat transplant, etc. I personally prefer the HA filler as it is easy to apply and products with a wide variety of particle size is available. The biggest benefit of HA filler is that it is reversible. In the big picture, the design goal is to heighten CZ while gradually lowering LZ and RZ when combining vector increasing and 3SC. For example, let us imagine a dermal filler forehead correction. Saggitally, the 1st S of 3SC should be drawn with large curves down to the nasion point and set the highest point at the midline point.